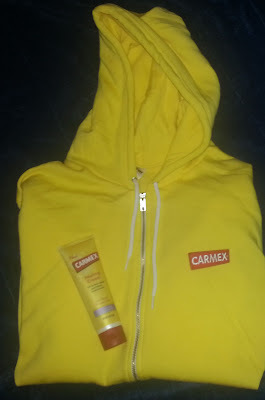 They sent me an awesome Carmex yellow hooded sweatshirt and healing cream! The sweatshirt is so soft and comfortable. They really know how to take care of their Bloggers. I was really excited to get the healing cream too since my elbows, ankles, heels and feet were really dried out from the weather. As you can see by the above picture, the healing cream is a thick white cream. It has a light, fresh scent that is not overpowering. What I love most about it though is that it isn't greasy. I hate the feel of greasy cream or lotion on my hands. I have been applying this regularly to my hands, elbows, knees, ankles and feet. It has kept them from being dry and cracking with this cool weather. The healing cream contains 9 healing ingredients including petrolatum to soften skin while it aids with moisturization. It also has increased levels of rich lanolin (the same rehydrating properties as naturally occurring lipids in your skin) and allantoin to soften and aid with moisturization. 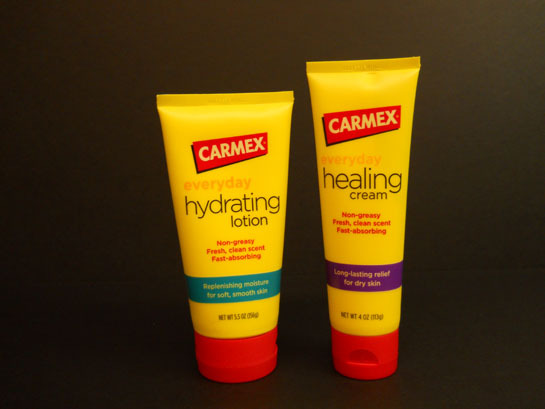 Carmex also has a Hydrating Lotion. It is also non-greasy with a fresh, clean scent. The lotion is fast-absorbing and has Vitamin E which aids in moisturization of dry skin, helping to soften and heal it. It uses aloe at a concentration of 200 times what you’d find in an aloe plant, helping prevent dryness and promote healing, plus soothing irritated skin. The Healing Cream is amazing. If you have dry skin or just want to make your skin soft, make sure you pick up a bottle and try it out. Or, you could try to win it here! Disclaimer: I received the Carmex hooded sweatshirt and two bottles of healing cream in exchange for this post. I was not compensated in any other way. All opinions are completely my own. How do you find these amazing companies to work with?? I need to "get out" more in the blog world! Oh I love carmex Would love to win this! Fingers crossed! Thanks so much for your review about Carmex skin care products! 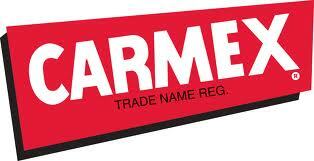 We are thrilled that you are enjoying them, and that they are living up to the Carmex standard! Good luck to all entering the giveaway and keep slathering away!